Rough day for long-running TV franchises, huh? Earlier today, CBS stuck a fork in CSI’s over-analyzed corpse by canceling CSI: Cyber. Meanwhile, the scent of blood was in the air at ABC, with fan favorites Nashville and Agent Carter both getting the axe. But once it started killing, the Disney-owned network apparently couldn’t stop, and now its procedural mainstay Castle is dead, too, as brutally murdered as the thousand or so bodies Nathan Fillion has charmingly quipped over for the last eight years on the show. Sharp-eyed TV detectives probably won’t be shocked by the news. Castle faced a major creative overhaul last year, when creator Andrew Marlowe, original showrunner David Amann, and writer-producer Terri Miller all departed before shooting started on its eighth season. The final nail in the coffin likely came last month, when co-star Stana Katic announced that she was also departing the show, leaving nothing to keep it afloat beyond Fillion’s admittedly buoyant charms. The Castle crew were apparently game to keep the series going, but ABC doesn’t seem to have agreed. 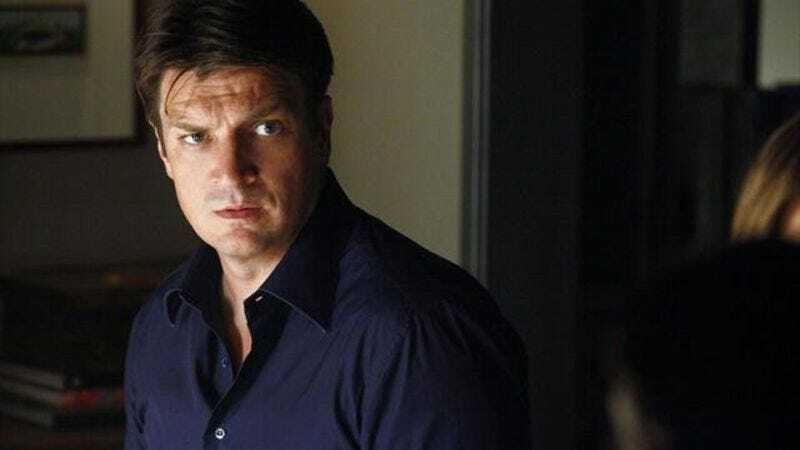 The final episode of Castle will air on ABC on Monday, May 16, leaving Fillion with less than a week to come up with a new excuse for why he still won’t give people any more episodes of Firefly, even though he totally could. Meanwhile, fans of Castle will have to comfort themselves with the fact that it airs, like, eight times a day on TNT, and will presumably continue to do so until the universe’s eventual demise.